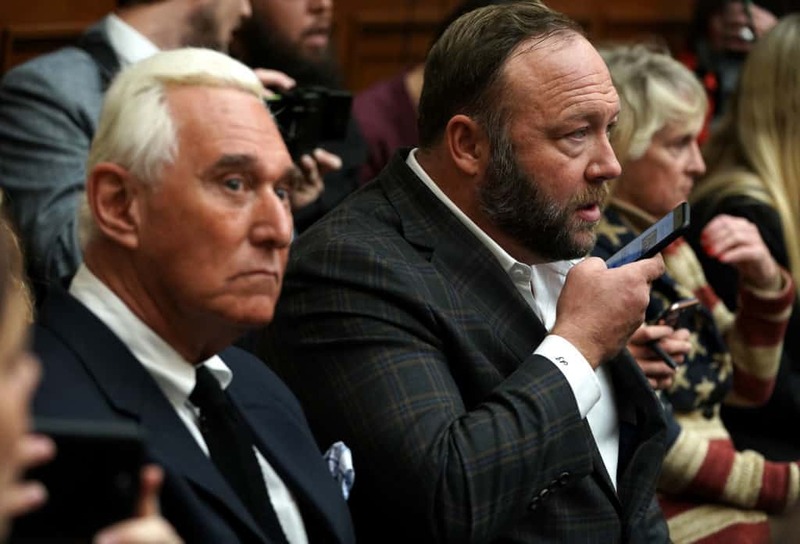 Conservative conspiracy theorist, Alex Jones, began his Monday show by discussing the Mueller report. Jones claimed the true traitors of of country are Google executives who take money from China. The Infowars host asserted that traitors to the country should be executed and he’d be happy to “pull the levers.” While he made these statements, a video of MSNBC’s Rachel Maddow played in the background. While Jones did not talk about mainstream media hosts during his rant, it seems clear that the video of Maddow was not there by accident. The MSNBC host has dedicated multiple show segments to stories of Trump and his ties to Russia. Jones has largely been de-platformed by the major social media networks. The conservative host was banned by Twitter and Periscope in September of 2018. Infowars has also been banned by Youtube, Apple and Facebook.